Cinnabon, born in April of 2014, was a mom of a litter of three at our shelter, and a very good one, at that. Now that she’s available for adoption, she’s a bit tentative to come out of the cage that’s been her home for awhile, so I let her relax and we did our photo session on her terms. She loves attention and, as you can see from her photo, a very beautiful girl, with such a lovely coat. She greets all our visitors at the shelter, since she resides in our Lobby. She begs for attention and will give you kisses if you let her. 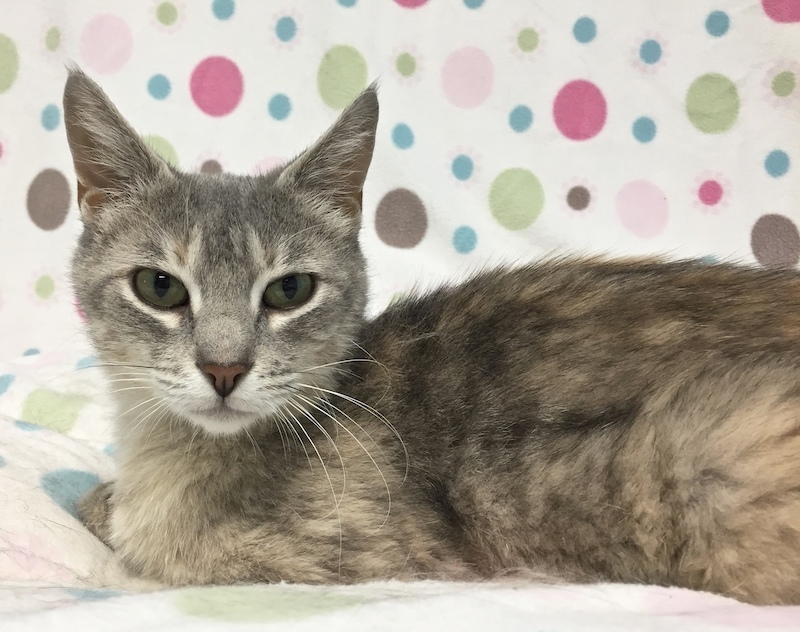 If you are considering a “forever” adoption into your home and would like to see Cinnabon, please visit the Wishbone-operated Allegan County Animal Shelter and/or fill out an adoption application online.